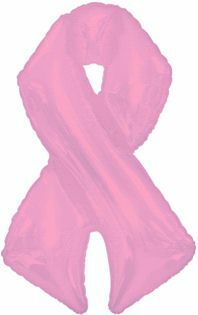 Breast Cancer Awareness Pink Ribbon Mylar Balloon 20" x 36". 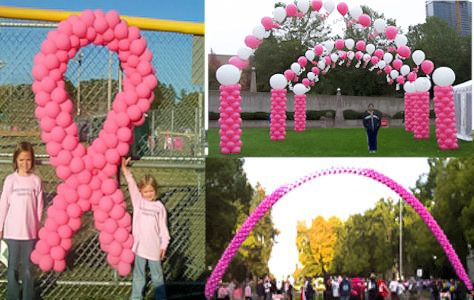 Custom PINK Breast Cancer Awareness Balloon Sculptures. Spruce up your next event with a customized balloon arch. Click on image for details. Red 18 inch mylar heart balloon. Patriotic Red, White, and Blue Star Mylar Balloon. Float time is 2-3 weeks. 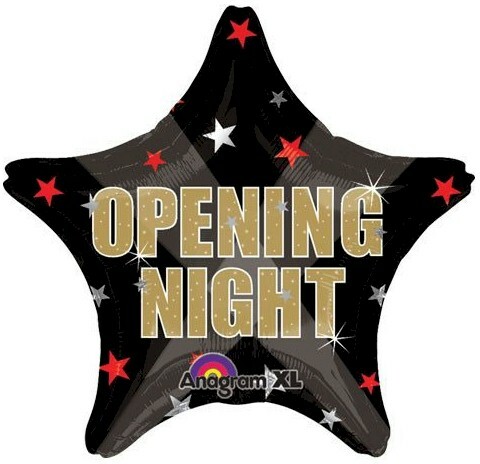 18 inch Opening Night Mylar Balloon. Float time is 2-3 weeks. Add this Hollywood Stars Mylar Bouquet to your party tables or near your entrance for a star-studded presentation. 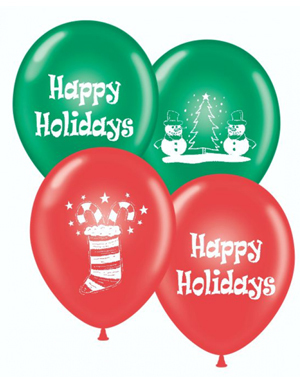 Make sure your show floor is full of season's greetings and holiday spirit with our Merry Christmas/Happy Holidays Balloons. 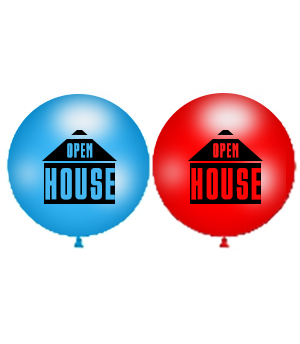 These 17 inch Open House Printed Latex Balloons will make the home your selling feel warm an inviting. 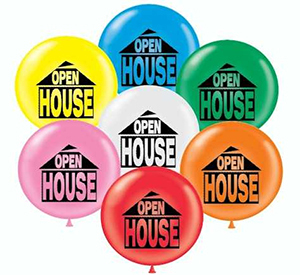 These 36 inch (3 foot) Open House Latex Balloons will help realtors draw clients into their home. 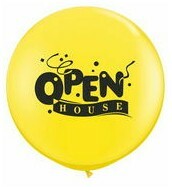 Standard size 11 inch Open House Qualatex balloons. 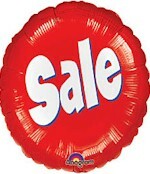 Choose bags of 25, 50 or 100 balloons (assorted colors). Click image for details. 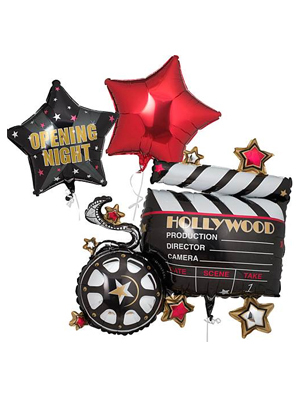 17" Grand Opening Balloon Starburst Square Shaped Mylar/Foil Balloon - Blue. Float time is 2-3 weeks. Click image for details. 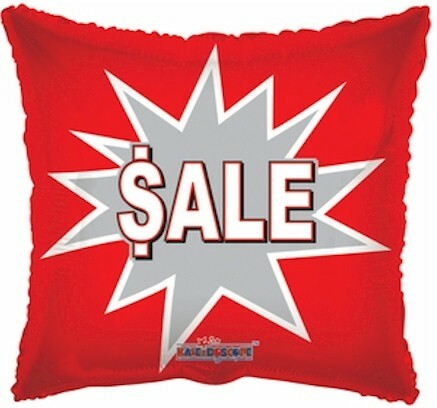 Red 18 inch Square Shape Sale Mylar (foil) Balloon. Float time is 2-3 weeks and they can be re-inflated after that with more helium. Red 18 inch Mylar (foil) Balloon. Float time is 2-3 weeks and they can be re-inflated after that with more helium. We can have a full-size Air Balloon at your event with either a "Grand Opening" banner or your own custom banner flying high. 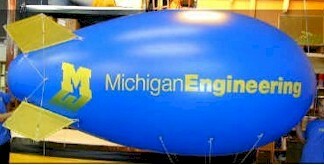 Own your own custom full-size Cold Air Balloon. Our blimps can be filled with helium and used again and again. Blimp price includes a custom message and/or logo on both sides. 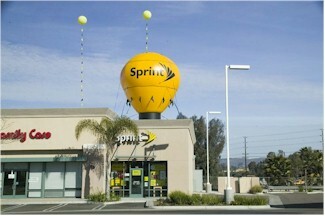 Blimps include your custom logo on both sides. 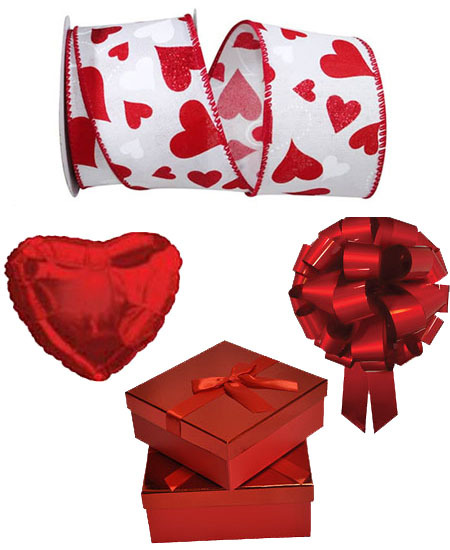 Fill your home or office with love when you use our Valentines Day Decorating Kit. 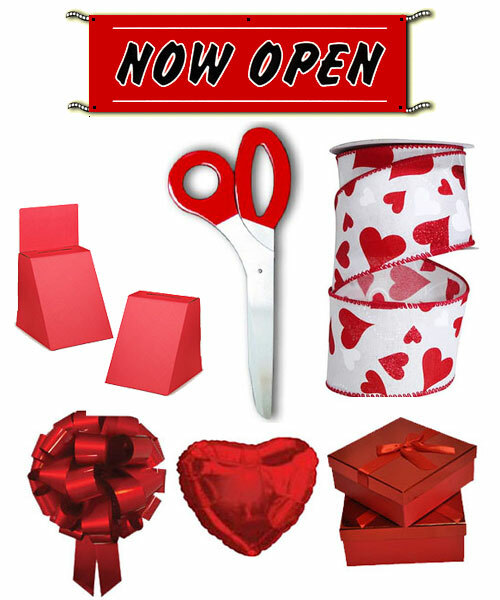 Share the love at your ribbon cutting event with our Valentines Day Grand Opening Kit.